Buffalo roam the grasslands and elk wander the ponderosa pine forests of Wind Cave National Park in South Dakota. Beneath the surface of this sanctuary, a complex labyrinth of corridors filled with rare boxwork — honeycomb-like calcite formations — awaits. More than 136 miles of passages have been mapped in Wind Cave, making it the third-longest cave in the United States and fifth-longest in the world. Daily cave tours are one of the most popular activities in the park. Park rangers lead a variety of expeditions from the park’s visitor center. The Natural Entrance Tour takes visitors on a 1 1/4-hour journey through the cave system, including a descent through the cavern’s famous boxwork, before exiting by elevator. The Garden of Eden Cave Tour is the easiest tour, giving visitors a one-hour glimpse into the boxwork, cave popcorn and flowstone along a quarter-mile trail. For those who do not mind a bit of climbing, the Fairgrounds Cave Tour offers a half-mile excursion through the upper and middle levels of Wind Cave. 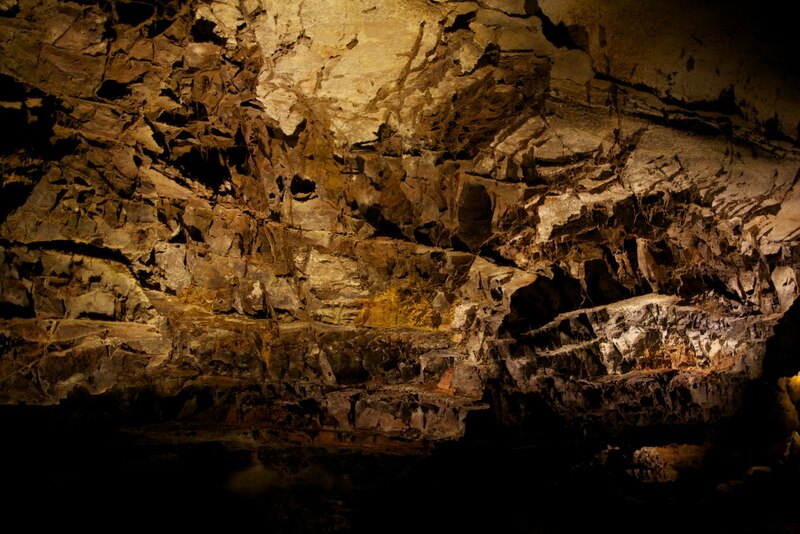 In the summer months, tour the caves the way original explorers did — by candlelight. 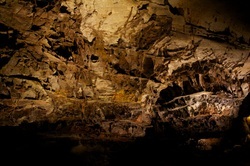 The Candlelight Cave Tour explores unlighted sections of the cave. For the more adventurous spelunker, a Wild Cave Tour offers a true caving experience, where visitors crawl much of the way through the four-hour tour. Reservations in advance are required for the Wild Cave Tour. In addition to the subterranean adventures, the surface offers 30 miles of hiking trails and three nature trails to park visitors. For kids, the Junior Ranger Program provides children up to the age of 12 a unique opportunity to learn about Wind Cave and its ecosystem. Nestled against the Black Hills National Forest in western South Dakota only 50 miles from Mount Rushmore, Wind Cave National Park features 28,295 acres of grasslands and pine forest above the intricate caverns. The Visitor Center is located 11 miles north of the city of Hot Springs. Wind Cave National Park is open year-round excluding Thanksgiving, Christmas and New Year’s Day. Summer months offer the most cave tour options. Cave tours and camping carry fees, but driving through and hiking in the park is free to all visitors. The park maintains one campground, the Elk Mountain Campground, and issues permits for backcountry camping in the northwest area of the park. While in the area, visitors can also visit Badlands National Park that resides just to the east of Wind Cave. Thanks to early reintroduction efforts, Wind Cave provides a sanctuary for American bison. Once nearly extinct, these giants can be observed roaming the prairie grasslands. The free-roaming herd is only one of four of its kind and has grown from less than 20 animals during reintroduction to more than 400 individuals today. Elk and antelope were also reintroduced into the park in the early 20th century, though these species are a little less commonly viewed by park visitors. Other wildlife such as mule deer, whitetail deer, red squirrels, turkeys and black-tailed prairie dogs typically seen during park visits. Known for centuries by American Indians, it was not until 1881 that brothers Jesse and Tom Bingham were drawn to the whistling sound of air rushing out of the cave’s natural entrance and first recorded the finding. That fall, Charlie Crary became the first person on record to enter the cave, leaving a trail of twine to mark his way. In 1890, J.D. McDonald turned an unsuccessful mining operation into a homestead and began offering cave tours. After a few turbulent years of dispute over park ownership, the Department of the Interior assumed control of Wind Cave in 1901. On January 3, 1903, President Theodore Roosevelt signed the bill designating Wind Cave National Park as the eighth national park in the United States, and the first established to protect a cave. 1912 – American Bison Society needed a preserve to reestablish a bison herd. Wind Cave National Game Preserve was established. 1913 to 1914 – Reintroduction of bison begins, along with 21 elk from Wyoming and 13 pronghorn antelope from Alberta, Canada. 1935 – The game preserve officially becomes part of Wind Cave National Park. 1946 – An additional 16,314 acres are added to Wind Cave National Park, bringing its total size to 28,059 acres. Click to see a detailed Wind Cave National Park map.